Have you ever felt so much pressure to perform that it felt the world was caving in? If the answer is yes, stop reading this review and go order Reshma Saujani's book, Brave, Not Perfect: How to Fail More, Care Less, and Live Bolder, which launches today, February 5th! I received an advance copy last year on the heels of launching The Cru, and it was one of the most important books that I read as an entrepreneur. First, Reshma demystifies the cultural socialization that explains why myself and millions of other women are perfectionists to begin with. Hard wired to please everyone, we often deliver for others at our own expense, leaving us depleted and unable to capitalize on opportunity. Furthermore, in an effort to demonstrate success we choose endeavors where we'll excel for fear of failure and disappointing others. Pleasing others and a fear of failure become the recipe for avoiding risks. And if you don't take risks, you don't get practice being brave. 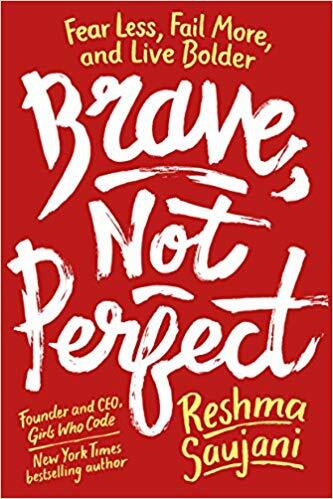 What I appreciate about the book is that in addition to the research and theory, Reshma provides tangible tips for building your bravery. Some strategies are as simple as adding the word "yet" onto the negative declarations that come from our inner voice. For example instead of me saying over and over again, "I've never built a B2C company," I should say "I've never built a B2C company...yet." Some strategies are more labor intensive like taking on a physical challenge. All of her advice offers a path for building resiliency and steering your life offensively instead of defensively. More importantly, Reshma takes you on her own personal bravery journey, from losing two political races to founding Girls Who Code, so that you have the confidence to know you're not alone. My dad used to tell me that "you should only speak when you have something to say." The first time I met Dorie Clark at an author's lunch it felt like she lived by this credo. Every word that came out of her mouth was brilliant. This is partly explained by her legit genius. She graduated Phi Beta Kappa from Smith College when she was only 18 years old. But her brilliance is also due to her generosity in sharing her light and insight with others. It's no surprise that she's built a healthy following of people who are clamoring to listen to her. Dorie is a marketing strategy consultant, professional speaker, and frequent contributor to the Harvard Business review. She's a "branding expert," which basically means that she's really good at helping people figure out how to position themselves for success. I've been recommending Dorie's latest book, Entrepreneurial You, to every woman who's dying to leave her day job and monetize her personal platform. When I asked Dorie what she's had to #droptheball on in order to build her own branding empire she kept it real: email and dating. On the former she says, "I've had to make peace with oftentimes being really remiss in responding to my messages." On the latter, "It takes sheer force of will to push myself to meet up with strangers for first dates, and—though I may meet someone amazing— statistically I'm likely to have a much better time if I hang out with friends, instead...so I tend to do that." One of the things I love about Dorie, and that I think makes her so successful, is her courage in defining herself on her own terms. Knowing what matters most to you is one thing. Aligning your life with your priorities is another. Thankfully we all have Dorie as a teacher. Oprah's What I Know for Sure is one of my favorite books ever—you can find me constantly re-reading passages from it. This one always sticks out: "The naysayers in your life can never be fully satisfied—so stop paying attention to them." I think we can all relate to this. I get asked all the time, "How do I deal with someone who is undermining me at work?" Here's my answer: stop worrying about it (unless it's harassment or serious bullying, of course). Don't use your precious time to fixate on the haters; instead, ignore them and focus on what you can control. I'm normally not into books that are high on interactive exercises and short on prose, but Ashley Feinsten Gerstley hooked me with her dedication page: For anyone who has ever been stressed about money (yeah, that would be me). 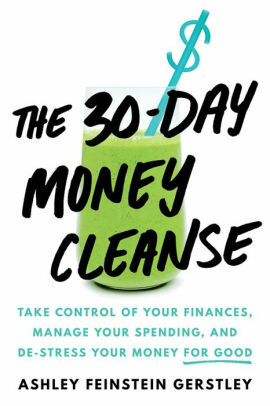 The cover of her debut book, The 30-Day Money Cleanse, promises to help you "take control of your finances, manage your spending, and de-stress your money for good." I didn't achieve this result after my first read but I plan to, which is why I'm recommending it. The book has seventeen chapters that are divided into six sections including, "Getting Started," weeks one through four, and finally "Welcome To Your New Money Lifestyle." Since I was trying to review the book quickly I simply read it cover to cover. If Ashley is reading this post she is screaming at this point because she did NOT write her book to be consumed this way. She designed The 30-Day Money Cleanse as an online course three years ago and she's now brilliantly converted the course into a workbook that takes you on the same psychological journey she's taken thousands of her clients. She's your financial accountability partner whose toughness and empathy come through in the pages. As a reader you have to trust her and reflect on each exercise as you go along. I didn't do this the first time around, but after reviewing the book I'm so convinced the program will work that I'm officially launching my money cleanse next week. I encourage all of you who made, "get my financial house in order" one of your new years resolutions to join me. I'll loop back to let you know how it goes. I first learned about Kim Keating as a launch team member to Lean In. Kim is a Lean In board member and, as everyone told me, an incredible ally and business leader. 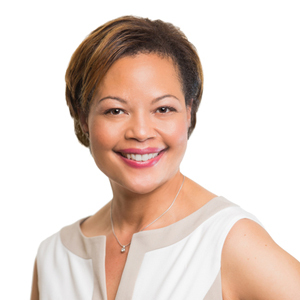 She earned her MBA from Harvard and, before pivoting to human resources, was the Chief Financial Officer at Teach for America. But it wasn't until I attended one of her workshops a few years later that I came to appreciate her formidable role as a salary negotiation slayer. 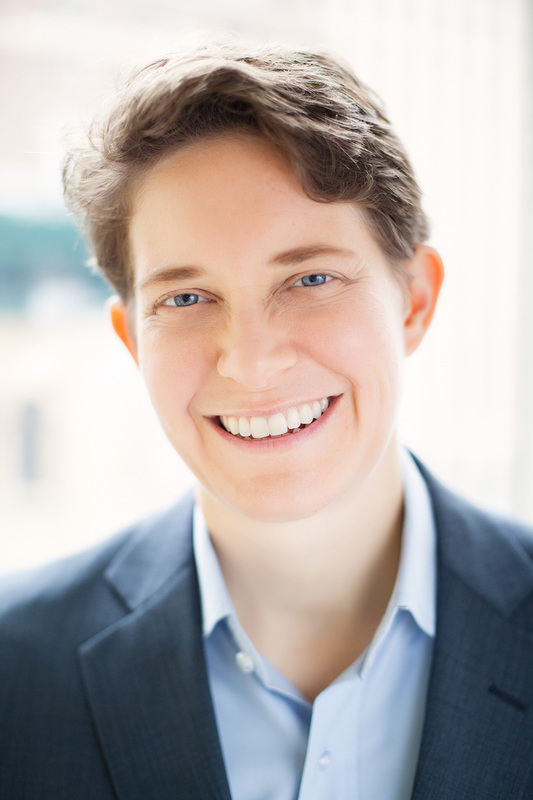 Kim is the CEO and Founder of Keating Strategies, which helps companies to develop effective talent strategies and also advises professionals on how to negotiate equitable pay. Most recently, Kim's become the new Chief Human Resources Officer at Y of Central Maryland. When I asked Kim what she's dropped the ball on in order to support so many women with getting more money she mentioned a task I used to be obsessed with but have long since abandoned: spring cleaning. "I start out the season with the best of intentions to check all the boxes on Martha Stewart’s cleaning list. But inevitably, 6 to 7 weeks later, I’ve done maybe 10% and by then it’s almost summer and who wants to be inside cleaning." Exactly! Now see, you don't have to be Marie Kondo to make an impact in the world. Many of us are constantly trying to tame the clutter in our lives, whether it's stuff or forces that are halting our professional development. One major factor: the constant need for wanting more. In order to break this cycle, institute the practice to stock of what you already have. Watch and find out how I learned this the hard way. As the new year begins, we all tend to set lofty goals that by the end of the year, just don't happen. Let's try something new this year: Simplify your resolutions. You can do this in two ways. 1) Select only two goals to achieve this year. Or, 2) Decide what you're not going to do. By the time December arrives, I guarantee you will feel a sense of accomplishment. Watch and learn how to set goals you can actually meet.